Our offices are located in the heart of Midtown Manhattan, with close proximity to NYC landmarks, recreation, dining, and public transportation. Locate your business here today and experience for yourself WWBC’s hospitality and customer services. 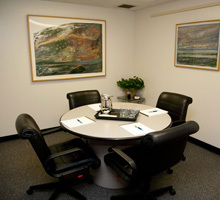 Whether a small meeting for just two, a board room for thirty or a presentation to fifty, WWBC has a meeting space solutions to fit most any need and budget. Free Wi-Fi and other support services on site. 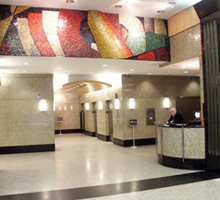 Locate your business at one of Manhattan’s most prestigious locations for a fraction of the cost of fulltime space. With a Virtual Office from WWBC, it’s instantly available and includes all the support services you’ll need to be productive from the start. Training on a variety of topics is conveniently available online and on demand. WWBC has partnered with Coggon to bring you these valuable courses. From one to hundreds of participants, get started now. As we get ready to celebrate our 50th anniversary, WWBC invites you to visit our timeline and take a look at our growth and experience throughout the years. See us from humble beginnings in 1970 when World-Wide Business Centres started with just six offices on New York City’s Park Avenue through several expansions as events in New York City and the changes in office technology also unfold. Learn more about World-Wide Business Centres through this exclusive video shot on premises at our 575 Madison Avenue, New York City location. Hear from World-Wide Business Centres clients as well as senior staff about the benefits provided to entrepreurs and multi-national firms alike. See why our New York office space facility has been the choice for hundreds if companies since our inception in 1970. At World-Wide Business Centres, we understand that your business is complex that’s why we offer no-nonsense, simple solutions for all of your office and administrative needs. Whether you are a small company just starting out, or you are a global company serving thousands of customers world-Wide, our fully serviced office solutions will help you run your business efficiently. We take care of the details so you don’t have to. That leaves you more time to focus on what really matters – increasing your profits and serving your customers. World-Wide Business Centres provides a modern, turnkey solution that will allow you to focus on achieving and exceeding your business goals. By renting our executive office space, you can eliminate the mundane tasks of finding, maintaining and staffing a traditional style office in New York City. 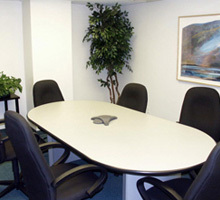 All of our offices in Manhattan are fully furnished and fitted with the most up-to-date technological equipment. Your company can be up and running in a matter of hours in a beautifully appointed office. 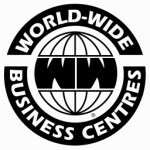 At World-Wide Business Centres, we understand that first impressions are everything, especially in the business world. Our unique and attractive facility provides your clients and customers with the impression your company requires. Whether you need a distinguished business address, virtual office or fully serviced office space, World- Wide Business Centres is your complete business solution. We offer a complete range of services and packages to meet all of your office solution needs. From individual offices to customized large group offices, World-Wide Business Centres can solve your office space issues. We also have a wide range of administrative support staff and a multitude of office support functions right at your fingertips. 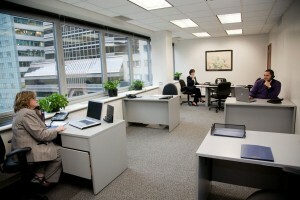 Your business can enjoy all the conveniences and amenities of a traditional office, without the high costs. That means more resources freed up for you and your company . We are very happy with the level of service provided and every single staff member we had a chance to deal with was not only helpful and professional but always had a kind word and a smile. I would recommend this company to anyone without any qualm as I am confident that any expectation would be not only met but exceeded tenfold! We occupied space with WWBC for over 15 years and found the flexibility and diversity of the space and services offered to be most beneficial in growing our business. We used the people and services of WWBC as an adjunct to our own staff. WWBC let us expand as our needs grew. 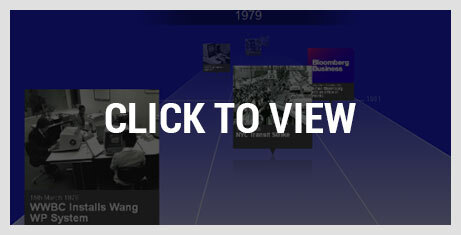 We had the flexibility to build our business as our requirements changed, without overextending ourselves.Bloomberg connects influential decision makers to a dynamic network of information, people and ideas. Marsha Palanci Corner Stone Communications. I was most happy with your service and told many friends and business associates about the manner in which you provide such excellent service. You are sensitive and responsive to my needs and concerns, highly efficient and professional at all times. Jeanette La Barb Careerimage, Inc. I wanted to take this opportunity to again thank you and your staff for your phenomenal assistance during our recent stay with you. You managed to do the impossible and arrange for offices, telephones and support for our entire office staff of over 36 people within one business day from the time we first contact you. I have been a client of World-Wide for nearly three years. Your service and the positive attitude of helpfulness are exemplary. I could not be happier to be here. Alan M. Ades Auburn Importing Corp.
As a 30 year veteran I thank your entire staff for creating not only a successful business center but such a warm, friendly and caring atmosphere that WWBC has truly become our second home. We are proud to be part of the WWBC family. Juval Aviv, President and CEO Interfor, Inc.
WWBC offers clean, quiet, and flexible office space at affordable rates in a superb location. The people who run it are both professional and friendly and the level of service provided is excellent.